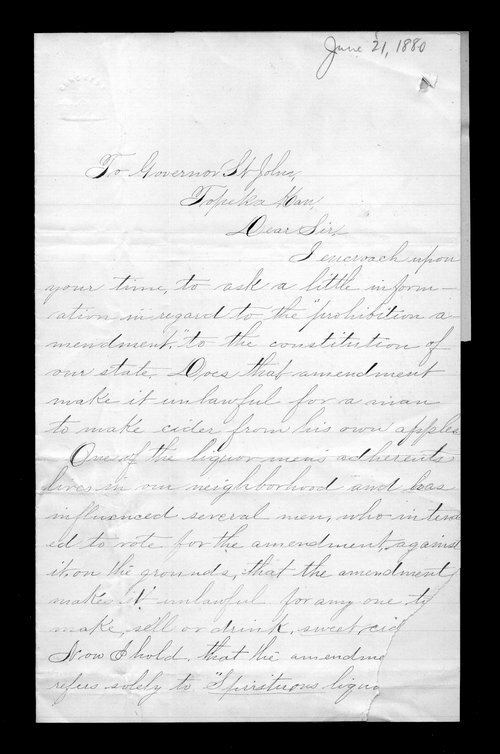 This is a letter from Jennie Beecher, who is concerned the prohibition amendment might include the making, selling and drinking of sweet cider. This would influence the votes of her husband and neighbor. Jennie asks Kansas Governor St. John to clarify the matter.